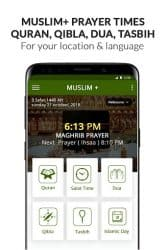 Muslim+ is one of the top popular Muslim app.Muslims around the world uses the app for most accurate prayer time and Quran with native translation, Arabic scripts, and audio recitation. Muslim+ contains Qibla location, an Islamic hijri calendar, Tasbih, Supplication. 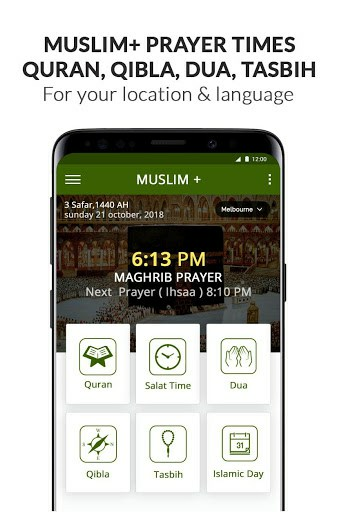 All in one Muslim+ app which can be use as all in one as its contain Al Quran, Prayer Times (Salat times), Supplication, Qibla compass, Tasbih, Duas and also Important days. 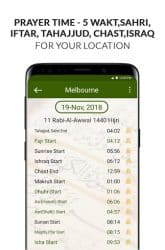 • Accurate prayer times based on your current location offline. • Fasting times (Imsak / Sahri and Iftar) during Ramadan. • “Tasbih” to count your dhikr/ Zikir. 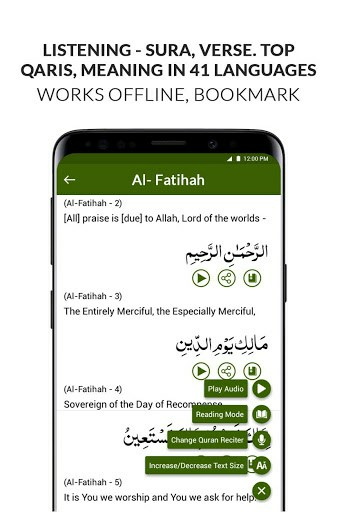 • App and Quran fully translated to your native language. – Read Complete Quran 114 Surah and 30 para part by part. -App translated to English, Bangla, German, French, Indonesia, Malay, Ujbek, Tajik, Persian, Russian, Arabic, Spanish, Español, Français, Italiano, dutch, Português, Türkçe, русский, danish etc. – Listen Quran Ayat in Arabic Audio with 4 Quran Reciter. – Shows Muslim Prayer Times: Fajr,Sunrise, Dhuhr, Asr, Sunset, Maghrib, Isha, Israq, chast, Iftar, Sahri. -The most accurate prayer timings all over the world. -You can see accurate prayer time in offline & you can set alarm. – Shows supplication about death, house, eating, Toilet, sleep, Tour, Socialization, Marriage, Decor, Affliction, Danger, Thunderstorms, Durood, Istighfar, Rabbana, Ajahn, Wudhu, Mosjid, Salat Eid, Hajj, Ramadhan, Surah, Special Salat and others. – Don’t forget to read Dua’s daily, you can see both Arabic and your language. Find the accurate Qibla direction Finder from the compass. 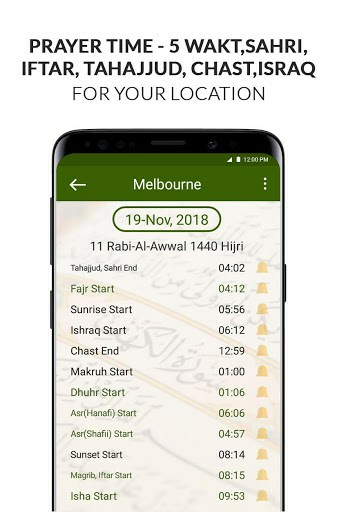 This Muslim+ app gives the accurate Qibla direction compass. -Qibla direction app shows you where the Qibla is, even in an offline mode with the help of its compass feature. 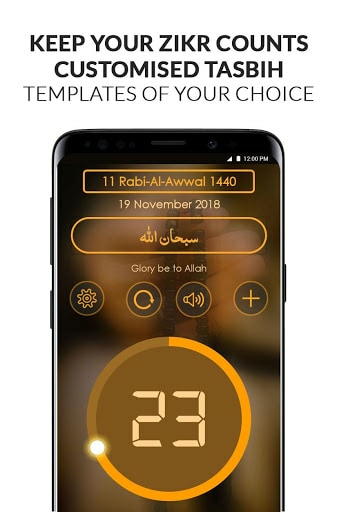 -Very useful tool when you want to recite Names of Allah or Tasbih. -Keep tracking of Tasbih/ tasbeeh count and also calculate how many times and when you recited names of Allah. -Useful for Muslim countries to show their holidays and important days. 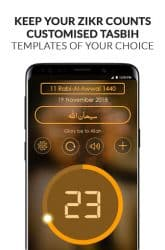 – App has Islamic Calendar, so that You’ll be seeing Ramadan Timetable and all islamic holidays like Eid Al Fitr, Eid Al Adha, Laylats, Hajj etc. 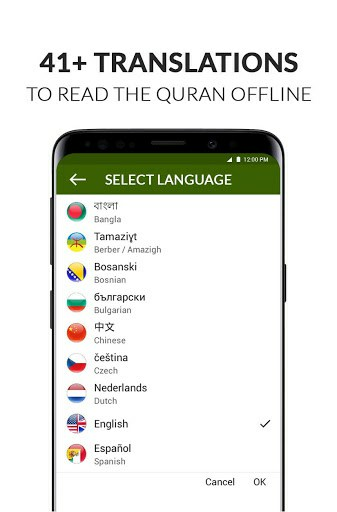 – Quran translation is now available in 41 languages: English, Albanian, Amharic, Azerbaijani, Indonesian, Malay, Bangla, Amazigh, Bosnian, Bulgarian, Chinese, Czech, Dutch, Spanish, Farsi, French, German, Hausa, Hindi, Italian, Korean, Kurdish, Malayalam, Maldivian, Norwegian Bokmål, Polish, Portuguese, Romanian, Russian, Sindhi, Somali, Swahili, Swedish, Tajik, Tamil, Tatar, Thai, Turkish, Urdu, Uyghur, Uzbek. Preferred Signs / Bookmarks, Share. Keywords: Islam, Muslim+, Al Quran, Holy Quran, Quran e Kareem, Quran Pak, Quran Majeed, Religion, Religious, prayer time, Tasbih, Tasbeeh, Islamic Book, Quran Word by Word, Quran Tafseer, Word by Word Quran, Quran, قرآن Коран, Kuran, Coran, Colored Quran, Auto scrolling Quran, Quran app, muslim pro, athan, صلاتك Salatuk, Islamic Finder, Muslim app.